If you recently decided to stop working out and limit your daily exercise to getting up from the couch in order to walk to a fridge filled with nothing but cold pizza and ice cream, you wouldn’t be surprised if you started gaining weight. However, it’s when you notice weight gain even though your daily exercise and eating habits haven’t changed that can lead to some confusing moments. While a combination of increased calorie consumption and decreased exercise can usually lead to weight gain, a variety of factors that have nothing to do with how often you workout or what you eat can also affect your weight. To help you get a grasp on what’s behind your growing gut, here are a few factors that can cause unexpected weight gain. Getting too little sleep offers a one-two punch when it comes to weight gain. The first, and most obvious, is the later you’re up, the more likely you’re to do a little late night snacking. Studies have shown that the later in the day a person eats, the less healthy their dietary decisions become. So instead of serving yourself an apple as a midnight snack, you’re way more likely to grab that bag of potato chips instead. The other reason sleep loss can cause weight gain is due to a decrease in the hormones your body produces that relate to appetite and hunger. When tired, your body produces less of a specific hormone that causes you to feel full when eating. The longer it takes you to feel full, the more you’ll continue to eat. So if you’re finding yourself gaining weight, consider trying to get a little more sleep. When the pressures of life get a little too intense, our bodies tend to retreat into survival mode, which increases the production of the stress hormone cortisol. Among the many affects cortisol has on the body, the hormone causes us to experience an increase of appetite. Since you’re already feeling the affects to stress, you may become tempted to indulge in many high calorie comfort foods to help compensate. A combination of a bigger appetite with a willingness to eat all of the bad foods that make you happy creates the perfect weight gain combination. 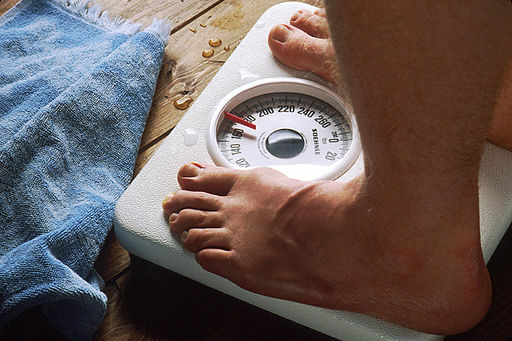 One of the unfortunate side effects of some types of antidepressants is weight gain. If you notice that you’ve started gaining weight after taking medication to treat your depression, talk with your doctor about potentially switching to a different antidepressant. However, patients should never stop taking their medication without first talking with their doctor, and weight gain may just be a natural result of you feeling better and having your appetite return. The butterfly-shaped gland located in the neck, a malfunctioning thyroid that doesn’t produce enough hormones can make you feel cold, weak, and tired, while also causing you to gain weight. When the thyroid fails to produce enough of its hormone, your body’s metabolism begins to slow down, which makes weight gain more likely. If your thyroid only functions on the slow side of the normal range, you may still experience weight gain. Talk with your doctor about a potential diagnosis and possible treatment methods for hypothyroidism. Once your body adjust to no longer depending on nicotine to help suppress appetite, you should start to eat normally again.